No doubt about it: When everything else starts to go in a dog (and a human), the eyes still have it, as demonstrated by excerpts from this touching book. And will ’til the end. Old don’t need to learn new tricks. They know everything there is to know about life. Right, my old girl baby Ginger? Who’s now heading toward … 19? 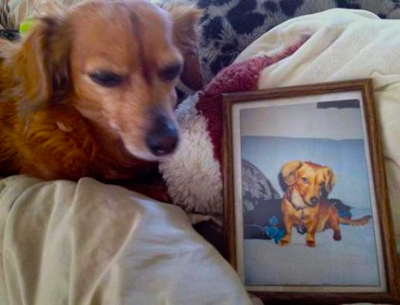 This entry was posted in Let's Paws: I break for critters and tagged Dachshunds, dog lovers, old dogs, Pets. Bookmark the permalink.